What's your favorite new 'all-screen' phone design of 2018? Now that 2018 is nearing an end, and we aren't expecting new groundbreaking phones to be announced in the next two weeks or so, it's time to recap what their makers achieved in the quest for the Holy "all-screen" Grail of design. Last year went under the auspices of the Notch Almighty, but in 2018 phone makers strayed far away from the beaten path leaving us with real handsets you can touch and buy that are indeed "all-screen" at the front. Since the Galaxy S9 managed to crack the 80% screen-to-body ratio barrier way upwards without resorting to a notch, we've had phones that are going even further, adding second screens or sliding designs in the process, and wanted to ask you to vote for your favorite 2018 "all-screen" handset. Take your pick in the poll below, and sound off in the comments. Samsung introduced the Infinity-O display as a twinkle in its designer team's eyes not long ago, but, lo and behold, we present you the Galaxy A8s. 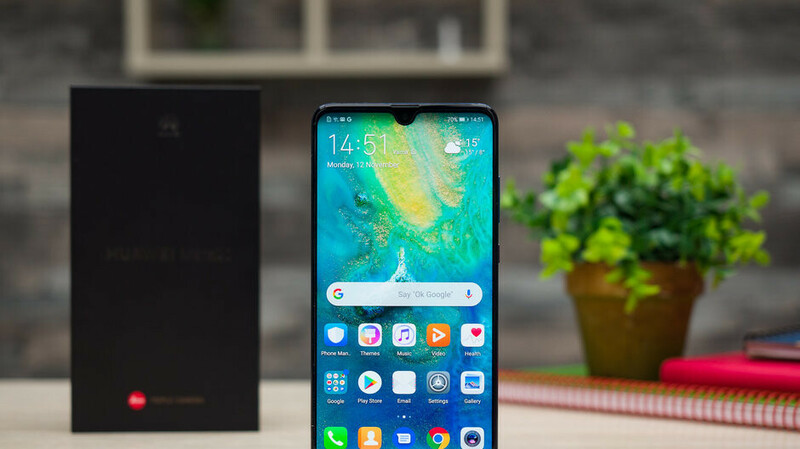 While inconspicuously named, this is the first handset announced with a front camera pierced directly into the display, the so-called Hole-in-Active-Area technology. Some call it waterdrop, Huawei chimes in with a "dewdrop" moniker, and some like it hot. We kid, but the so-called "waterdrop" notch that only encompasses a small selfie camera is very close to what Sharp and the Essential Phone introduced last year, just with a bit wider bezel protrusion in the base. Still, it is veritable new design when it comes to the notch shape and that is why it's included in the list. With it, the Mate 20, for instance, manages to hit a record 87.98% screen-to-by ratio without resorting to extra sliding or popping mechanism. Moreover, the waterdrop design is less of an eyesore than the wide notches that house all the usual top bezel paraphernalia and is now greatly popularized by the OnePlus 6T on T-Mobile. 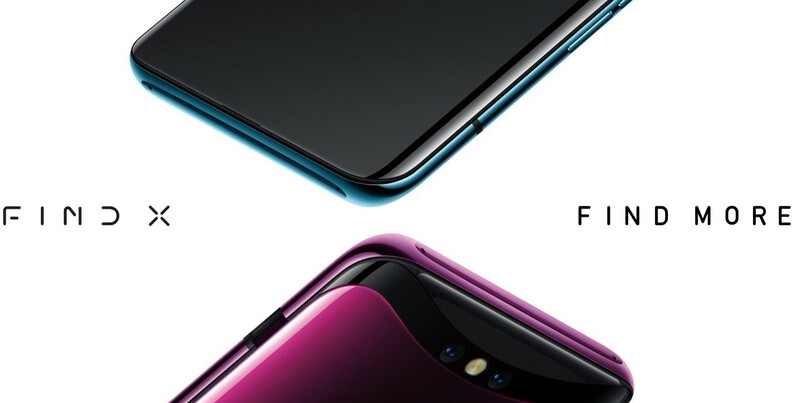 Starting with the concept Vivo NEX we previewed way back at the MWC expo in the spring and continuing with the crazy motorized Oppo Find X half-slider, the two conjoined twins of a phone brand push the front camera paraphernalia up only when needed without sliding the whole screen part down. Oppo started it with the Find X somewhat, while Honor with its Magic 2, as well as Xiaomi with the Mi Mix 3, took it to the extreme. The good ol' sliding design, that is. It hits a very high screen-to-body ratio by separating the screen part from all the other paraphernalia that usually goes into the top bezel. As you can see demonstrated here, the screen half slides back and forth with a satisfying click to reveal what will likely be 3D-sensing front camera kit for Face ID-style unlocking when you need it, but when it is shut, the phone is indeed "all-screen" at the front. The slider approaches, however, while seemingly the Holy Grail of bezel-trimming, come with their own set of issues. For starters, whether motorized or manual, it is one more mechanism that might be prone to breaking at some point. Even if it is made sturdy enough to withstand two or three years of constant usage, finding a case for such phones is a bit of a challenge that could entail some protection compromises. There have been plenty of "all-screen" phone solutions in the past year or so - notches, sliders, pop-up cameras, and even holes in the display itself aren't now out of the question. All of these are done in the neverending quest to shove the inevitable front camera setup somewhere in order to trim the bezel it used to occupy. None of these design options is as crazy as circumventing the need for a front camera altogether by providing a second display on the back. Enter Nubia, an offshoot brand of ZTE. It has been having some pretty wild ideas about the future of the cell phone form factor. At the MWC expo, we previewed the Nubia Alpha, a handset that wraps around your wrist, but it's a concept that went from the design gurus to the production stage that caught our attention recently, the X. At the front, the Nubia X looks like your regular giant 2018 phone with a 6.3" LCD panel (not a notch in sight, though), but you might get startled to turn it over and find a smaller, 5.1" OLED panel on the back. With it, you can snap selfies with the higher quality rear camera which has allowed Nubia to skip the front unit and achieve an incredibly thin top bezel. Yep , dual screen is my favorite too !! Dual screen without a doubt. How about "none of the above"? The S9 and Note 9 is the best implementation of bezel reduction to date. Which is why they were left off the list. Funny how the leader in the notch department, is missing from the list. Apple is using the exact same design as last year. So their design is not new for 2018. The topic was the "favorite new 'all-screen' phone design of 2018" Samsung has been using the same design for years and isn't all screen. Yet, it's got a higher screen to body ratio that the biggest selling notch phone. Which makes it more all screen than than it. Infinity displays were introduced by Samsung early last year. That's far from your "using the same design for years" statement. They are talking about the new design on the A8s, not next years S models. I like the S9 and Note 9 implementation but bought the NexS. It shouldn't be lumped in with the FindX at all because, apart from having a motorized camera, it's functionality is completely different. The FindX is the slider design from hell since it must be used to unlock the phone. The NexS happens to have a pop-up camera that disappears when not needed. Since I rarely use the front camera it's perfect for me and I get a gorgeous FULL screen 100% of the time. No notch, teardrop, hole, slider. Nothing but screen. Now THAT'S a true all screen design without compromises. I cant vote for any of those. Why not have the Note, S, iPhone XS in the options as well? I know you're trying ro look at the compromised options. But the Galaxybdies have an "infinity" display. Which is why the front is all black, to give the illusion that it's a full screen device. Any phone that compromises the display with any obstruction, I don't care how big it small. So imagine the smartphone screen was the windshield of your car. The rearview mirror is like a notch. It us very distracting when trying ro see out. Which is why in most States you cant hang anything from it. Now imagine having what's looks like a hole in your windshield. Unless I dont have a choice, I will not buy any device with these designs. The dew drop is nice to deal with since it's small. I like the sliders but I'd rather have a display hole and a bigger battery. I love the one without damaged screen. No notch or any other stupid compromise, we had better solutions in 2017, we certainly could do better in 2018 and 2019. Definitely pop up or slider. Anyhow that intrudes in the display is a compromise, and an unnecessary one considering you can get equal or better screen to body ratio with small top and bottom bezels, without compromising the screen. As proven by Samsung. I actually like the idea of a pop out camera as well... doesn't need to be motorized though for me. Keeps the lens clean/free of damage, and eliminates any possibility of secretly being spied on. Which may never be realized, since a camera relies on a clear light path from the object photographed to the sensor. You can't beat the laws of physics. Magic 2 and V20 are best full screen phones in 2018. 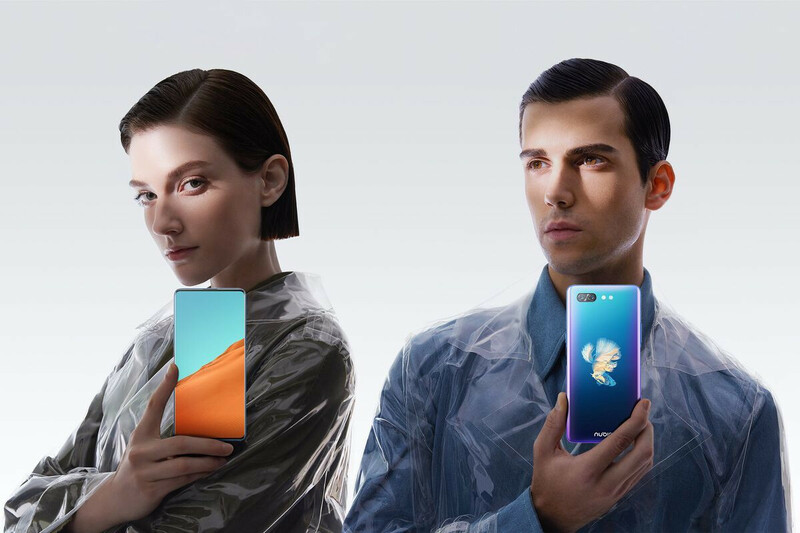 For notch haters, what about the Nubia X with second display on the back? What springs to my mind, is that with this kind of design one cannot use face unlock.. But if implemented with an ultrasonic in display fps would be near perfect. There was no all-screen phone in 2018. An all-screen phone must not have a chin or a forehead or a notch or a hole. There is no such thing. Oppo is Best no f**king Samsung hole. The selfie camera is not so useful for me. Getting rid of selfie camera with new dual screen display is good option. Dual screen. It's a bold and radical decision but I think it's genius. Most oems are already going front/back glass yes? Might as well make the back screen too. They spend extra on screen sure but they also save on subtraction of front cam. Most rarely take selfies/video calls so flipping phone doesn't inconvenience much. I like the nex 2 implementation so far as the design is symmetrical and the back can pass as the front in looks and feel as ur holding it.